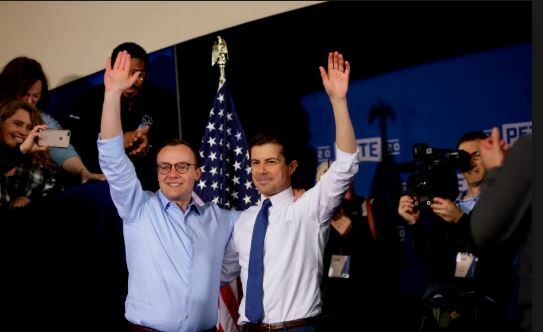 New Straits Times: Pete Buttigieg, the gay, liberal mayor of a small American city in the conservative bastion of Indiana, officially launched his presidential bid Sunday, joining a crowded field of Democrats vying for their party’s nomination in 2020. The 37-year-old Rhodes scholar and Afghanistan war veteran is the two-term mayor of his hometown of South Bend – a left-leaning bubble in America’s so-called “Rust Belt” region, where the decline of industries such as steel and automobile manufacturing has hurt local economies. The official launch – in which Buttigieg touched upon a number of liberal talking points such as racial justice, voting rights and health care reform, as well as his faith and marriage to Chasten Buttigieg – is expected to give his surprisingly strong campaign an additional boost. “He represents a new generation of Democratic leadership. We love his vision,” said Jenn Watts, 35, while her 3-year-old daughter sat on her shoulders.